I attended a ChildHope presentation in the summer and I wanted to share with you the work they are doing with Kenyan NGO, Pendekezo Letu, to rescue young street connected girls in Nairobi’s slums and help them into mainstream education. There are an estimated 60,000 children* living and working on the streets in Nairobi. Life in the city’s slum settlements is one of extreme poverty and deprivation. Slum dwellers lack access to basic services such as water, sanitation and healthcare and levels of unemployment and violent crime are high. Sarah Mbira, the Director of Pendekezo Letu, explained how they are helping young girls, aged 6 to 13, living and working in the slum settlements, who are the most vulnerable to exploitation and abuse. Every year PKL helps one hundred girls. The girls are found by social workers begging, working on the streets or scavenging on refuse sites where they are exposed to toxic fumes, dangerous waste and abuse. Girls like 12-year-old, Linit, who with her grandmother, was struggling to support a family of six. She was working ten hours a day in hazardous conditions collecting plastic and glass on a dump site and earning just 25p. When a team from Comic Relief, which funds this project, visited her at home they discovered it was the first time Linit and her family had eaten in two days. Linit has now been enrolled on PKL’s intensive ten-month programme at their rehabilitation centre. She will be provided with remedial education, three meals a day, healthcare, life skills and counselling. It’s a safe environment where she can laugh, learn and be a child again. After the 10-month period she will be enrolled in a mainstream primary school and rejoin her grandmother and the rest of the family. Many of the children PKL works with have ended up working on the streets due to parental unemployment and illness. Whilst they are on the rehabilitation programme PKL works with their family members to improve their health, wellbeing and economic status so they can support their children. 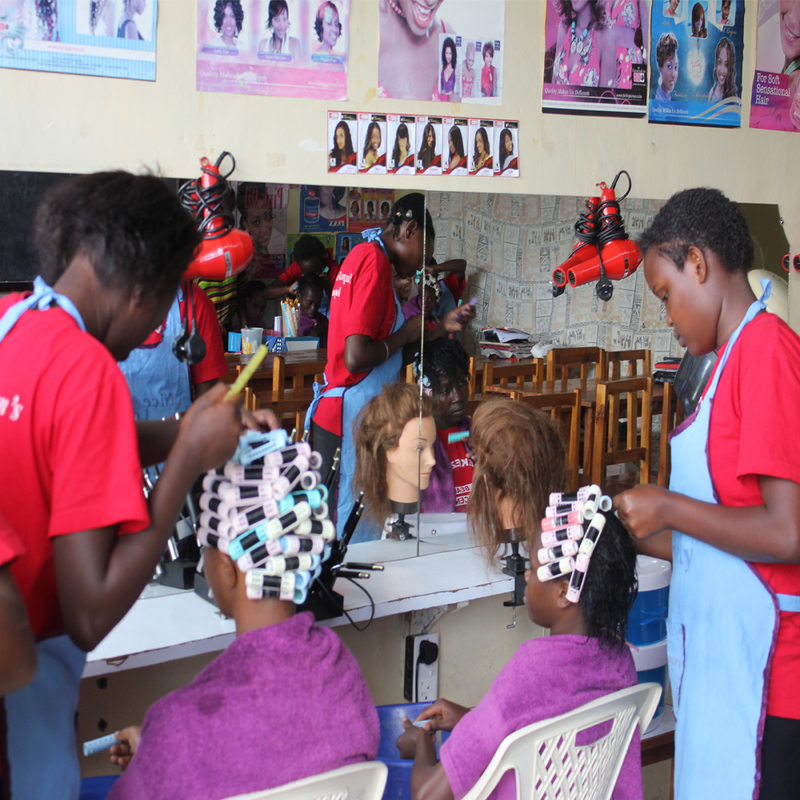 They provide training and loans to enable them to start a small business or vocational training, like carpentry, hairdressing and sewing. Sara told us about two girls, Nadia and Saara, aged 11 and 9, who social workers found ten years ago struggling to support a family of eight. Both their parents were suffering from AIDS and were too weak to stand. The girls were giving any food they managed to buy to their parents and were malnourished and traumatized by their parents’ suffering. 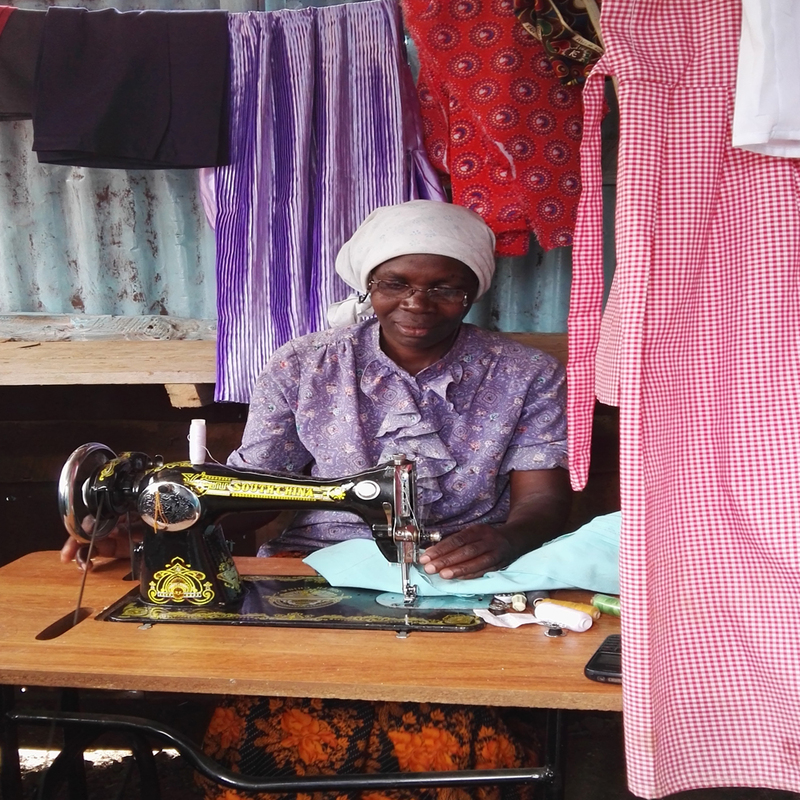 They were enrolled on PKL’s ten month programme and the parents were provided with medical help, food supplements and small business training. Today both girls are studying at university and the parents are running a small greengrocers. ChildHope and Pendekezo Letu have been working together for nineteen years and have helped 1,779 young girls and their families escape a life of poverty. You can find out more about this life changing, project, the work of ChildHope and how you can get involved here.